What's the big deal about Burundi? What’s the big deal about Burundi? 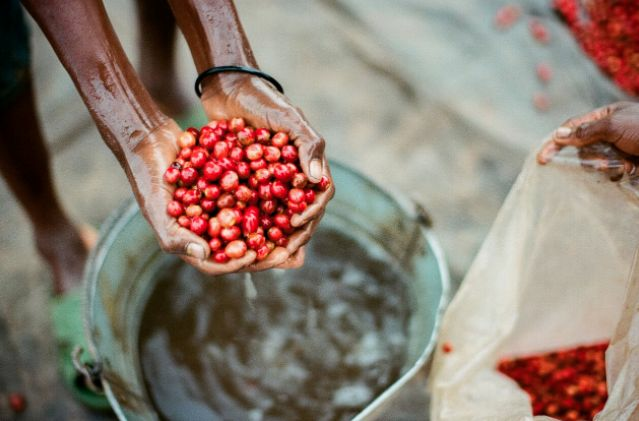 We explore three different perspectives on fast growing coffee origin, Burundi, focusing on one region of farmers that have a special connection to South Africa. For you, the consumer, this journey from coffee farm to roaster may answer some questions on why you should happily pay more for certain coffees. 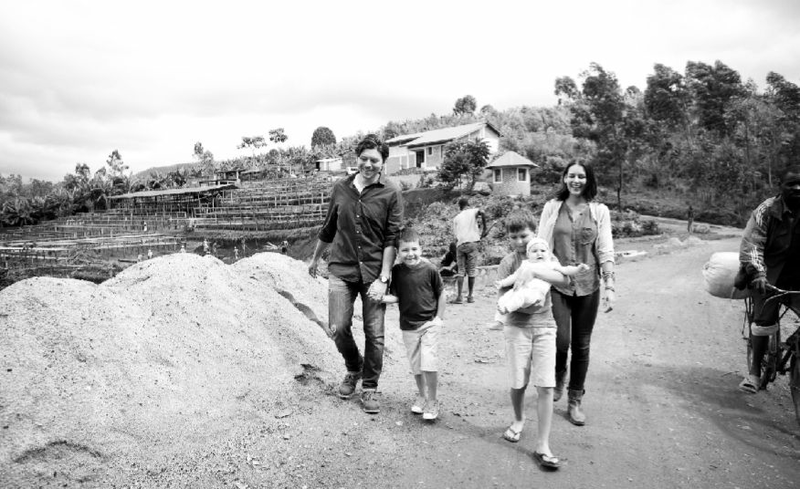 Ben and Kristy Carlson are the founders of Long Miles Coffee Project in Burundi. They may be American by birth, but they are South African at heart. In Burundi, they produce coffee in collaboration with 4,500 smallholding coffee farmers. While Ben and Kristy have received a fair amount of positive feedback around the world for their efforts in Burundi and the quality of their coffees, they don’t feel like they have reached their full potential yet. 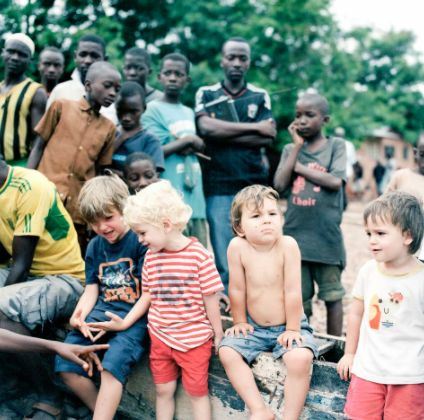 Seven years ago these displaced Americans were preparing to move to Burundi from Durban, South Africa. This is a fraction of their story in their own words. “We spent a decade living in South Africa and during that time we claimed it as home. Even though we were in our early twenties when we moved to Durban, we feel like that is where we grew up in a way. We still have our roots in South Africa and feel very connected to its cultures and its people. Our relationships in SA continue to be among the deepest ones we have in our lives. South Africa was one of our launching points into coffee and living there helped prepare us for eventually transitioning to life in Burundi. When we moved to Durban as newlyweds in 2001 there wasn’t much of a coffee culture. You could get a very large milky cappuccino or an over roasted stale bean and that was about it. As the South African specialty coffee scene began to rise, we were there and got really excited about what we were seeing. Opening a speciality coffee destination in Durban was one of our first ventures. It wasn’t open long, but we learned huge lessons from owning a café that we still draw on today. Our involvement with coffee grew into consultancies that allowed us to contribute to the initiation of the South African barista championships. Working with the emerging barista profession gave us friendships that we still appreciate today. Seeing the development of the South African coffee scene from its infancy and now working with the speciality coffee community in South Africa as a producer is really special for us. When we began in Burundi, it didn’t take us long to realise that if we weren’t focused on quality, we were not going to make an impact. Working on quality brings out the nuances and the beauty in Burundi coffee. We produce better coffee that costs more, and that allows us to build valuable relationships with roasters. Without this we cannot run our business or make a significant difference in farmers lives and in the nation of Burundi. As we experienced life alongside farmers in our first years in Burundi, we realized they were often being treated unfairly and were not receiving premiums for their coffee. We discovered that the washing station was a place that could become a catalyst for change. We built Bukeye, and then a year later we built Heza, our second washing station. We believe physical infrastructure can be a catalyst for change. You need the washing station building for six weeks to process coffee, but throughout the year, the change resides in our team, in our scouts that constantly talk to farmers about their farming practices and methodologies. They are Long Miles more than the buildings at the washing stations are. Speciality coffee is worth the investment. It takes a lot of effort and a lot of money to produce great coffee. We understand that it takes an element of risk to buy coffee if you are a roaster. It is challenging for many South African roasters to consider their profit margins and then buy specialty coffees. Please support the ones that do, because they are up to something special. Buying specialty coffee is the only way to develop further as a coffee culture in South Africa and it is the only way to truly support farmers. Leaning on the excuse of people not willing to pay more than R20 a cup has to be abolished. It is the R20 Cappuccino that is pushing farmers further into poverty. There is no other way than through exposure and telling the story of coffee that captivates your audience. When a coffee is tasted, and its beauty matches its story, you can become a pioneer in the South African specialty community. It’s a scary leap, but we believe you’ll discover it’s worth it. “You cannot discover new oceans unless you have the courage to lose sight of the shore”, André Gide. We would suggest that roasters structure their business in a way that makes room for specialty coffee. What that means is that you have to contract to buying coffee ahead of time. You have to believe enough in this coffee, in the people that produced it and in your importer to commit to coffee in advance. And you cannot back out when the coffee arrives. What is the philosophy of Specialty Coffee Exchange? As a small coffee importer, we don’t offer the traditional coffees, we source unique specialty lots, continuously striving to find variety and sustainable quality through direct trade and relationships at origin. Our offering is in origin bags or 20kg boxes for micro to commercial roasters, giving roasters the option to purchase a selection of beans in small batch quantities. How has the South African market changed in terms of demand for specialty coffee in the last few years? We have a core of dedicated specialty roasters around the country that have influenced the industry hugely, generating a growing demand for not only specialty and microlots, but also driving the demand for origin variety and higher grade greens across the industry. I think our partner roasters enjoy roasting and selling our coffees, they are great cups with amazing origins. What makes the relationship with LMCP successful? THEIR COFFEE! And Ben and the Long Miles team of course! We have had incredible greens from LMCP the past two seasons: peaberry, naturals, honey process, red honey and lets not forget the Cup of Excellence. We are discussing the next season or current harvest with LMCP and year on year their coffees get better and better, an incredible success story in Burundian and African Specialty. What is the reception you have received for the coffees coming from LMCP from roasters? Our relationships with partner roasters is what drives the LMCP beans in SA. We are going into our third season with Long Miles (ready to freight Jan 2018) , already discussing requirements with our roasters of what they would like to sample and contract into the new year. Planning season to season with LMCP and our partner roasters is what specialty coffee is all about. What is the price per kg when it lands in SA? We have beans such as the Community Coffee Collective Kibira @R 79.50/kg to Long Miles Special Reserve Microlots of peaberry, naturals and red honey @R130-190/kg. What convinced you to engage with a green coffee producer like Long Miles Coffee Project? I opened Coffee Mob in 2013. At that time I had no plans to roast our own coffee and was purchasing roasted coffee from a local roaster. After being open for a couple of years and finding my coffee legs, I decided to take a trip to a fantastic coffee farm in Colombia, La Palma y el Tucan http://lapalmayeltucan.com/site/. My experiences at origin, meeting farmers and understanding some of their plight further motivated me to learn more about coffee and what I could do to help improve their lives. It was then I decided to start sourcing and roasting. Soon after this experience, in 2015, I partook in the Specialty Coffee Association of America Expo in Seattle. I sat in on a lecture given by Ben Carlson of Long Miles Coffee. Hearing him speak passionately about the importance of improving the quality of coffee in Burundi, and what that translated to in regards to improving the lives of Burundi Farmers further struck my heart chords. Afterwards I introduced myself and our friendship has been developing nicely over these first couple of years of my roasting career. Has the coffee from LMCP changed over the years? What have the effects of good processing and best agronomy practice meant to the flavour in the cup? We are entering our third season with LMCP. I’ve definitely noticed a rise in the quality of the coffee. Mostly due to the fact that very little defects are found in the beans which was a major concern when LMCP first starting building washing stations as one way to help improve quality. I really enjoy the profile of peaberry coffee and last harvest I requested peaberry heirloom bourbon from one of the newer washing stations at Nkonge Hill. Ben and I thought it would be fun to process the “peas” utilizing three different methods, washed, honey and natural. It was amazing to roast and brew these coffees side by side and enjoy the different nuances attributed by each process. A rainbow of flavors were found ranging from cherry, lemon, blueberry, rose-petal, and brown sugar. Our average customer is pretty savvy if I do say so myself, especially since we started roasting our own coffee. They expect prolific coffee and love good contrasting variety. We are very transparent with our customers about new and exciting coffees that we are roasting. They are always willing to try new things because we have built a lot of trust with them over the years. For example. Recently I received a very small amount of rare coffee from a producer in Yemen called Rayyan Coffee. (rayyancoffee.com) I happened to be making my first pour-over of it when someone asked what I was making, when I said it was a coffee from Yemen, everyones ears pricked up and suddenly everyone wanted to try it! My favourite coffee so far from LMCP was a natural process peaberry from Nkonge Hill, when I first tasted it there was such a great mixture of sweet fruits that all I could think about was this old fashioned chewing gum called “Fruit Stripe.” It’s sugary sweet and you get blasts of watermelon and cherry, followed by notes of lemon.